Expression Systems Logo Redesign - Wallrich. Expression Systems, a biotechnology company in Davis, California, came to us with a need. They wanted to assume their role as a major league player in their industry, which is dominated by huge corporations. To do this, they’d need a new brand identity. Although this would include many elements such as color palettes, typeface selections, positioning and branded literature, we started with the logo. At Wallrich, our creative process begins with discovery, but to understand Expression Systems’ products—which include insect cell cultures, baculovirus cotransfection kits, amino acid deficient formulations and many other multisyllabic words—requires some serious education. My two semesters of pre-med back in college weren’t terribly helpful, but after spending some time on the Googles to get up to speed, I was ready to begin sketching. I generally start working on a logo the old fashioned way—with pencil and paper—cranking out a ton of scribbles, notes and doodles, looking for different ways to solve the problem. I enjoy this part of the process, and sometimes I can’t believe I get paid to think, draw and create. Once a few ideas are refined, they go through a meticulous internal review before presentation to the client. Internal reviews with the team can be rough, but they are honest and necessary. We go back and forth with feedback about design ideas in a way that’s organic, fluid and productive. 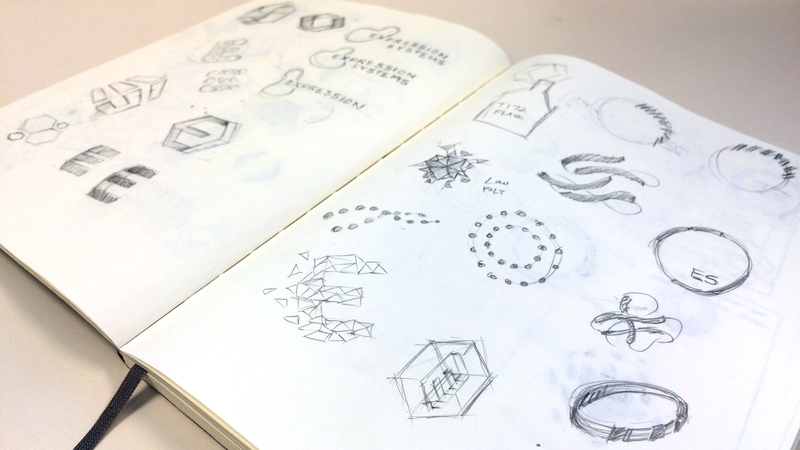 In the case of Expression Systems, the selected design concept was a reinterpretation of the moth depicted in the client’s existing logo, which suffered from a number of design issues. Foremost among these were the level of detail and complexity in the logo which reproduced poorly, especially in small applications. The typeface (two colors, unevenly spaced, all caps) suffered from poor readability. Overall, it just didn’t convey the kind of industry leadership the client was hoping we could help them project. Our version of their logo is decidedly simpler. Oftentimes, I think people look at a “simple” design and assume it was easy to make. To the contrary, a lot of thought, testing and revision went into the development of this design. Special attention was paid to make the logo design clean and contemporary. We retained the moth wing motif to preserve its brand equity, but presented it with simple colors and modern typography for an approachable, minimalistic aesthetic. The asymmetric placement of the wings creates tension between the wings and the type, providing further differentiation from the competition. 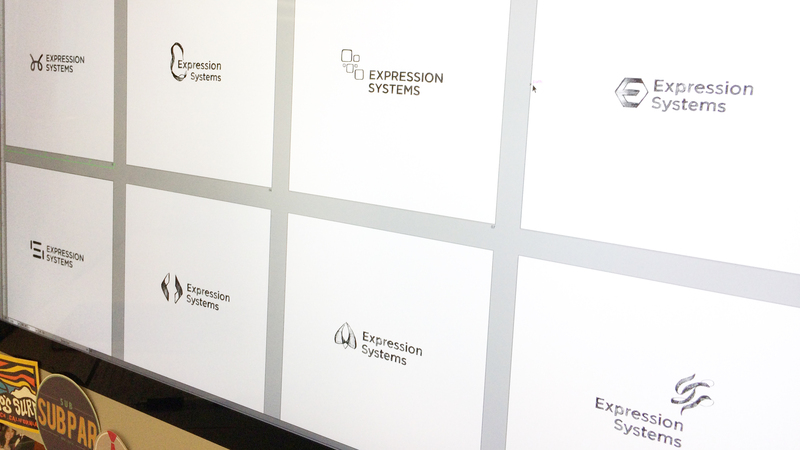 In short, the metamorphosis of Expression Systems’ logo was complete.